In the true spirit of giving the middle school students have spent the past few weeks making scarves to hand out. 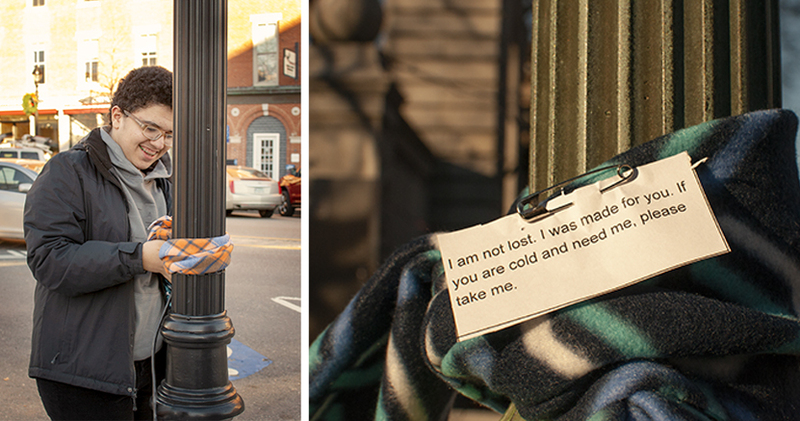 They designed and created scarves for those who are cold and in need this winter. The students went downtown and tied the scarves to trees and posts for those who may want or need them. ‘State House Scarves’ or ‘Scarvesgiving’ has been a Parker Academy tradition held for many years and we hope to continue giving back to the community throughout the year.